Our BALI series solid teak furniture and made from eco-friendly natural plantation teak wood, all crafted by hand. The A Grade teak wood and genuine brass hardware made our BALI teak furniture a premium class in the industry. Teak is recognized for its durability and stability under severe climate conditions. For over the centuries Teak wood is Ideal timber for shipbuilding and marine application. Carpenters and Woodworkers consider Teak as King of the woods when compare to other wood like Eucalyptus and Acacia. Teak wood has a natural oil content that prevents the wood from rotting, cracking and resists termites, fungal stains and also other insects that can destroy wood. Teak has a very good resistance to water and moisture that is why is used in shipbuilding, wooden flooring, and outdoor furniture. Teak wood has high durability and long lifespan with low maintenance that is why it more expensive as compared to other woods like Acacia and Eucalyptus. Teak is very dense wood and heavy wood. ifurniture , the revolutionist in the industry, sells the premium grade teak furniture at cheap prices than other sellers Eucalyptus prices, What’s your decision? As we said, it is about intelligence. 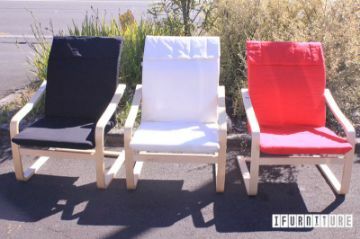 ifurniture where the smart Kiwis buy furniture 2 save big! For teak furniture maintenance, please search online or either 'weather' your teak or apply teak oil. It is important to understand that any timber exposed to exterior weather conditions will have some form of timber change and movement. The change of color (normally turns a silvery gray over time) and finishing like splitting or cracking is considered normal. Regular re-oiling of your furniture will help to keep the color and reduce and may prevent cracking, but there is no guarantee that it will. ROLLA Bent wood lounge chair, 3 colors for selection. Latex pocket spring mattress in 5 specialized comfort and support zones. Made with super comfy organic cotton fabric. The top comes with zip for easy wash.
Quality New Zealand made bed frame in all sizes. The striking Saul II Living Room Collection by Acme Furniture fuses charm and design to create the ultimate in relaxation.